October 30, 2018, 3:31 PM · I've seen a number of breathless headlines over last few days, reporting that a "new study into performances of J.S. 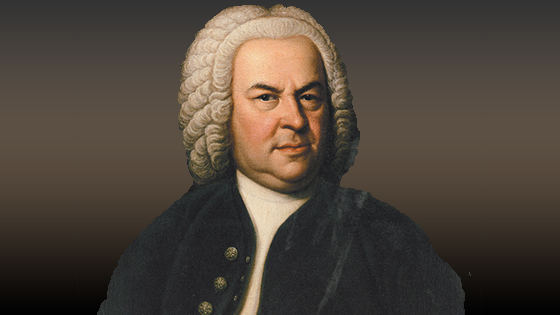 Bach reveals classical music is speeding up over the last 50 years"! I tried to find this study, and the "study" itself does not appear to be on the Internet. It appears to be in conjunction with publicity for a new giant compilation of the works of Bach by Deutsche Grammophon and Decca called Bach 333 (i.e. 333 years since the birth of Bach), which includes 222 CDs from 32 labels, 280 hours of music, two "luxury hardback books," etc. The "study" is as follows: they looked at tracks for three recordings of the Bach Double, from 1961, 1978 and 2016, and concluded "classical music is speeding up." While this is interesting and may point to some trends, I find it a pretty big leap, to draw such conclusions based on three recordings. At best, the process seems vulnerable to the specific selection of certain artists who play at certain tempos, to prove a point. Of course, one has to keep in mind that, when it comes to Bach, the entire Historically-Informed Performance movement has influenced how the music is performed, and the style of that movement often is lighter and faster (implying that it was also faster in the day of Bach). If you've had a chance to play with a Baroque bow, it's a little like having a Ferrari. You just can't help but step on the gas and play faster! But not everyone adheres to that movement, nor is any artist under any obligation to do so. Different artists do things differently, and plenty of contemporary artists are taking their time with Bach. In fact, the very-recently-released Hilary Hahn recording of Bach's first three Sonatas and Partitas contains some seriously pensive pacing - she might even win the award for "slowest Adagio in the G minor Sonata." Ah, but she is being old-fashioned, right? No, she is a modern artist, doing it her way in 2018. Same with Kyung Wha Chung. Below are the tracks that have been cited as "proof" that classical music is speeding up, in recent stories. And below that, I had a little fun of my own. Enjoy! And if you are inspired, you can submit any of your own examples in the comments! Below are a few more examples that I compiled, from recordings of Bach's Sonata No. 1 in G minor for solo violin. Looking at these, you might conclude that classical music has slowed up in the last 50 years. Then one could create another list, "proving" the exact opposite. The lesson? Don't believe everything you read. Just go listen for yourself! October 30, 2018 at 10:00 PM · As a social scientist your approach is much better than the pr stunt of the record companies. But for a really acceptable scientific approach the sample needs to be much bigger, taking into account a variety of pieces and compare the overall time as well as faster and slower movements. And one should compare every recording not just prominent ones recorded by well known violinists. It surely would be interesting to do that - it would be a nice master thesis topic if you consider to include further information like a content analysis of interviews of artist talking about their approaches. But the press release of the record companies is just a pr stunt. There is no real information in it. October 30, 2018 at 10:14 PM · Did all of the Presto movement recordings from the g minor Sonata each observe both repeats? That may skew the timings some. October 30, 2018 at 10:16 PM · Did all of the Presto movement recordings utilize both repeats being observed? If there's inconsistency, that may skew the timings some. October 31, 2018 at 12:12 AM · Generally speaking, it is my understanding that Baroque music was likely played faster when it was written. Later, when vibrato become a widely adopted technique, the vibrato tended to slow tempos down. Then in the later part of the 20th century when Baroque performance practices became better known, tempos of Baroque pieces often returned to the faster end of the spectrum - depending on the performer's preference. If you listen to, say, Grumiaux's Siciliana, it does go along at quite a clip - surprisingly fast for that era. And his Adagio is a full minute faster than Hilary Hahn's! Of course, one could say HH's is "surprisingly slow" for the current era. Are either really so surprising? October 31, 2018 at 06:16 AM · Milstein stated he generally refrained from interpreting adagio as meaning slow. Milstein was wary of bogging a piece down. I like Milstein's 2nd set of solo Bach, which seems to be about subtle phrasing and tone color. I like the baroque violin and bow, and lively interpretations, including creative embellishments, as I once heard from Kenneth Goldsmith at Grinnell College. October 31, 2018 at 02:36 PM · You can "prove anything with statistics" - especially if you cut out some of the data! October 31, 2018 at 06:46 PM · It is interesting to note that "adagio" really means "at ease," and that does allow for a wider interpretation! October 31, 2018 at 08:36 PM · I tell my students that what is printed on the page is called music but it is only the instructions - the music is found in you, the musician. The idea that there is one-right way to play any music is almost laughable. As Pearlman quoted DeLay: "Sugarplum, play it again, differently but great." Why not play printed music faster or slower just to see how it sounds - not to the critic but to you, the musician - after all the real music is to be found inside you communicating what you think and feel about the music that is printed on the page. October 31, 2018 at 11:38 PM · One of my violin teachers in high school commented a couple of times that Italian recordings of baroque music was about twice as fast as Americans played it. And, since we don't have actual recordings from that era, I guess we'll probably never really know how fast music was played. The only time this ever became an issue for me, was when I was a professional dancer. A conductor who plays your variation at double speed makes your life hell, trust! November 3, 2018 at 06:41 PM · Great work, Laurie Niles! I was laughing throughout (at Andante) because my greatest struggle as an adult, aging, semi-professional (meaning sometimes I get paid, sometimes I don't, depending on the gig) violinist, is faster tempos. The conductor of my primary, full time orchestra takes tempos as true as she is capable of determining, and as true as we, the orchestra, can play. In some sections I simply have to pray the muscle memory won't fail me. But there's always my brilliant faking to fall back on. November 3, 2018 at 06:44 PM · George Wells, I agree. I am a composer. When I play a piece of music which I wrote myself I might play it in one tempo one day and a different tempo another day. Sometimes I write music with a specific tempo in mind, but then I play it and might think that another tempo is much better. So when other people play my music I like that they find their way of playing it. November 3, 2018 at 07:45 PM · That is the beauty of live performances. You may discover something in tempo and phrasing that creates an entirely different experience with a familiar piece. November 4, 2018 at 12:06 AM · I would think that even back in Bach's time, the pieces would've been played at different tempos. The particular audiences may have had their personal preferences, and the abilities of the players differed. Some of those Bach pieces are very challenging, and a less advanced player would've had to play them slower. November 4, 2018 at 04:30 AM · Anyone who has heard the Roger Norrington recordings of Beethoven that are actually true to his original metronome marks can say that, for the most part, modern recordings typically slow him down. Just think of the beginning of Beethoven's 5th--people nowadays give it a really slow DEEEEEH DEEEEH DEEEEEH DUUUUUUUUUUUUUUUU, one far slower than he intended. As for Bach... well, I know that Glenn Gould admitted that he plowed through some sections of the Goldberg Variations as fast as he could, indicating it's being played faster than would be natural.